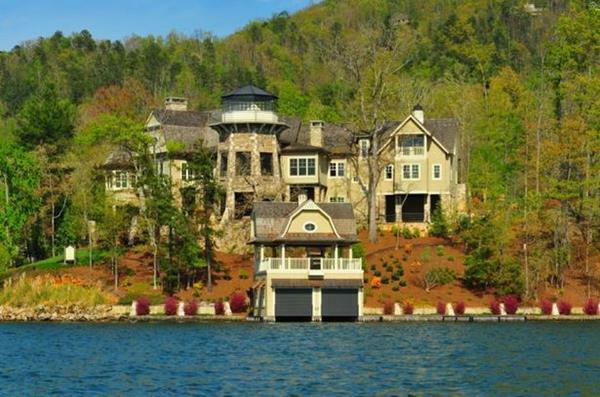 "Ed West represented the winning bidder in an auction we conducted of a spectacular lakefront residence on Lake Burton. His attentiveness to his client during the diligence period prior to the auction, and throughout the auction registration and live bidding, was impressive. Ultimately, Ed's knowledge and guidance led to the highest-priced sale in the area in many years, and we're appreciative of his efforts." “When we moved to Sky Valley we immediately began looking for a house. We had 5 wishes and would have been pleased if we were able to find one or two of them in a home. We visited many houses and even looked at property to build but nothing came close to what we wanted. We were introduced to Denise West & told her what we were looking for. In about 2 weeks, she called and said she had a property that just came on the market that we should look at, that it fit our description. She took me to see it and I was so overwhelmed at how perfect it was – all 5 wishes were there! We toured the house and I excitedly called my out-of-town husband to tell him that Denise had FOUND OUR DREAM HOME. “If you’re thinking about listing your home and you’re not sure which agent to list with, may I suggest that you list with Denise West with Ed West Realty. Denise has got to be the most knowledgeable real estate person in the Northeast Georgia market. I found working with her a joy and felt like she was there to help me during every step of the processes. She projects a sense of trust-worthiness that makes you feel very secure during what is without a doubt a very involved process. Denise is a true professional in every sense of the word, and puts her clients interests far above her own. During our buying process we found a home that we fell in love with, only to be denied from the bank owned property handlers. We worked the game plan together, and she gave wise counsel along the way. Denise was very patient. She continued to stay on top of the housing situation that resulted in the bank owned home we loved going to auction. Denise and Ed went out of their way to drive out of town and wait relentlessly for our home to come up on the auction block and then worked hard to make smart bidding decisions to ensure that we would get our home. This resulted in a far better deal for us as owners and we are so grateful.